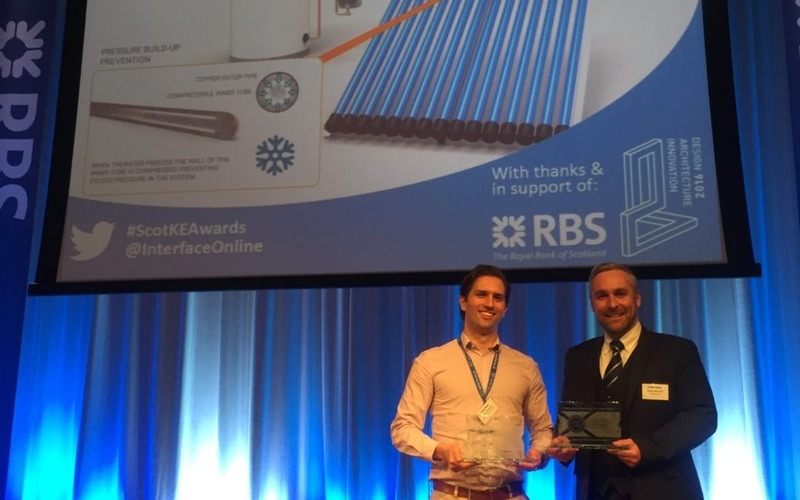 Soltropy were delighted to receive an award at the recent Scottish Knowledge Exchange Awards organised by Interface. The award was presented by Margaret Burgess MSP, and was presented to Heriot Watt and Soltropy for the best Sustained Partnership between a University and Business in Scotland . Associate Professor Dr Tadhg O’Donovan was present to accept the award on behalf of Heriot Watt University, in recognition of his strong support and drive of the partnership since 2013. The Soltropy team and Heriot Watt were delighted to receive this award, and hope to continue to develop our strong working collaboration in the future.